Our snooker analyst has started February in fantastic style with an 11/1 outright winner on the 2019 German Masters. Kyren Wilson delivered the winner in dramatic style winning four straight frames to beat David Gilbert in the final. Here is the full story on Kyren Wilson’s journey to the title. 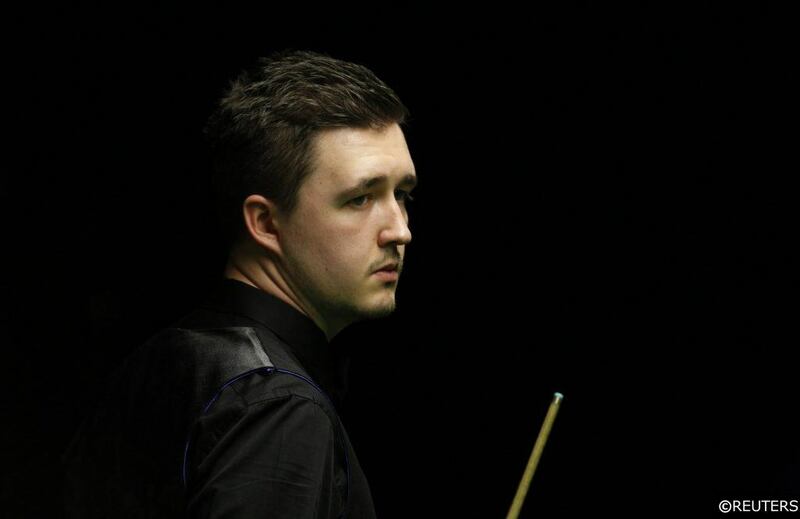 KYREN WILSON WINS THE GERMAN MASTERS AT 11/1! The “Warrior”‘s fine form this season is continuing! Wilson went into this one as a hot favourite, however the experienced McLeod was typically determined to make a battle of it. ‘The Highlander’ took the first frame, but Wilson soon responded by taking the next two with a 58 break in the third. McLeod levelled it up before the interval and came out the strong in the next frame to score 110 the highest break of the match. ‘The Warrior’ lived up to his nickname and dug deep to win a tight sixth frame and gain the momentum to take the match by winning the next two frames impressively with breaks of 74 & 79. These two know each others games well, being friends and practice partners. But it was Wilson who was expected to win once again as he did in their previous two meetings. He got off to a good start again this time taking the opening frame, Ebdon hit back with a 64 break in frame two. Wilson then stepped up a gear winning the next two to take a 3-1 lead with the highlight being a 92 break in the third. Ebdon now averaging 31.6 seconds per shot slowed the pace down and looked like closing the gap but a miss on the final red allowed his younger opponent the chance to clear the table and win the fifth frame on the black. Edbon kept fighting by taking the next with a 51 break, but it was too little too late as Wilson booked his place in the quarter final with a 117 in the next. Going into this one the odds suggested a close match with nothing to separate them in the betting. Strangely the world champion Williams looked completely out of sorts and Wilson punished him by taking the opening frame with an 81 break. The match developed into a one-sided contest with Williams failing to hit a break over 16 !. Wilson wrapped this one up winning the remaining four frames aided by breaks of 61 & 54 in frames three and five respectively. This eagerly awaited semi-final seen Wilson up against the five time ranking event winner Stephen Maguire who had just defeated the Masters Champion Judd Trump in the last round. It was Wilson who settled the better in this one winning the first three frames with breaks of 67 & 51 in the first and third frames. The next one however looked to be a turning point but Maguire missed a simple black off the spot when 60 points ahead with 59 points remaining. Wilson punished him by getting the required snooker and taking a 4-0 lead into the interval. Maguire tried to force a come back taking the fifth frame. Yet once again, Wilson finished the match strongly by closing it out with breaks of 63 & 62 in the next two to take the match. Both players displayed the high quality form they were in by coming out firing. In the first six frames there was a 50+ break in every frame, 54,73,87 & 69 from Wilson and 57 & 95 from Gilbert. The score at this point was 4-2 to Wilson, the next two frames were shared with Wilson hitting 91 in frame eight to take a 5-3 advantage into the evening session. Upon resumption Gilbert turned the match around by winning four frame in a row with breaks of 94, 65 & 58 to take a 7-5 lead. A much needed 95 break in the next for Wilson acted as a timely reminded to his opponent that he was still in a battle. Next up was frame 14 and possibly the most crucial of the match with Gilbert leading by 43 points with four reds left on the table. Wilson pulled off a succession of stunning pots under pressure to complete an amazing 54 clearance and level the match at 7-7. Wilson regained control by winning the next with a 70 break and won the championship in the sixteenth frame 78 points to zero. The Snooker season is in full flow and we’ve got predictions for you every week of the season! Make sure you have our Free Snooker Tips page bookmarked so you never miss a winner! Categories: Tip Results. Sports: Snooker.